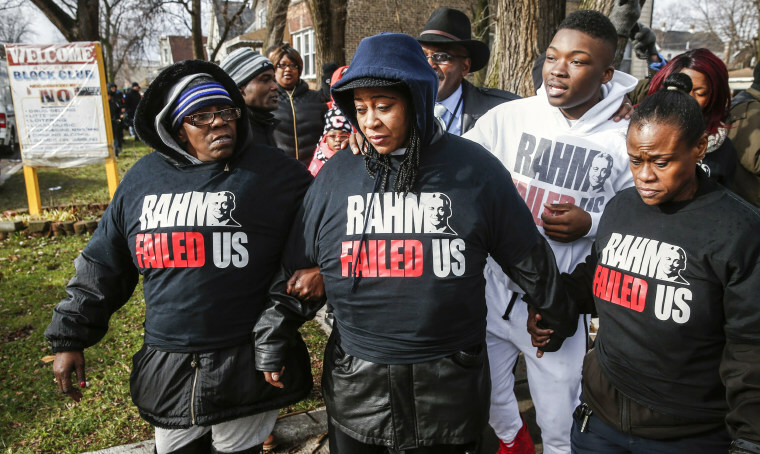 People mourn Chicago shooting victims' deaths, floodwater sweeps South America and more in today's news pictures. 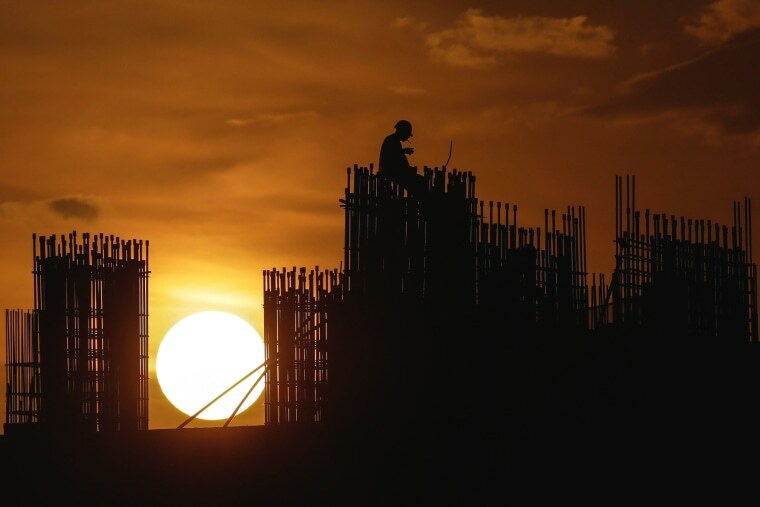 A construction worker is silhouetted having a cigarette break while working during sunset at Sungai Buloh, outside Kuala Lumpur, Malaysia. The World Bank on Dec. 18 cut Malaysia's economic growth estimate for the next year due to concerns over tighter government and consumer spending that would potentially squeeze domestic demand. 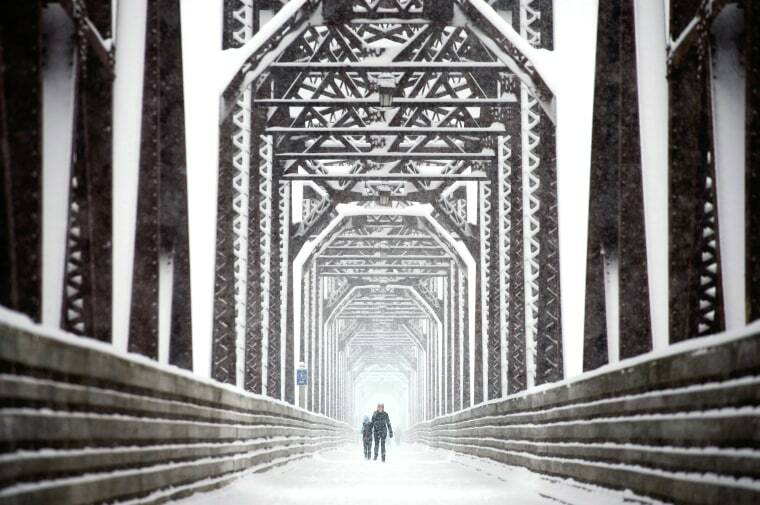 People walk across a pedestrian bridge in Fredericton, Canada. 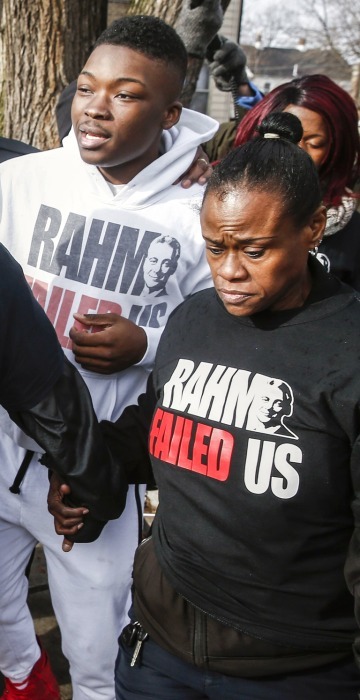 Janet Cooksey, center, the mother of 19 year old Quintonio LeGrier, is supported by relatives and neighbors as she walks from the location where Chicago police were called to a domestic disturbance that resulted in the shooting death of Bettie Jones and LeGrier, in Chicago, Ill. 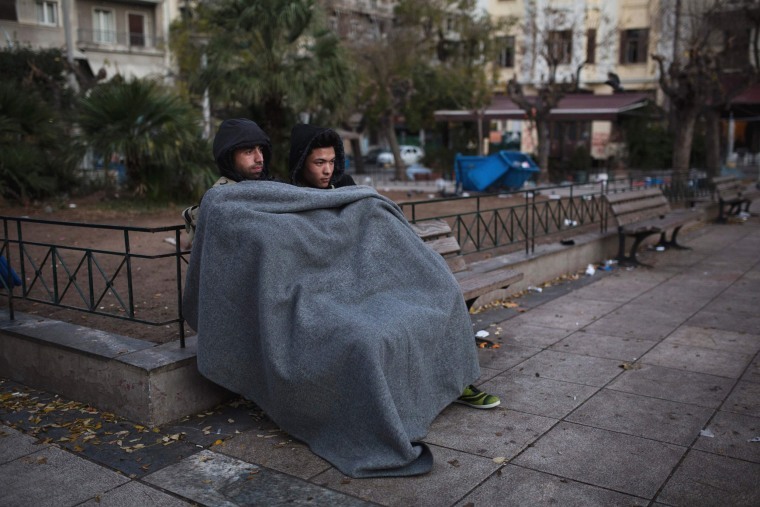 Refugees from Afghanistan sit on a bench in the early morning in Victoria Square, where migrants and refugees have been staying, in central Athens, Greece. 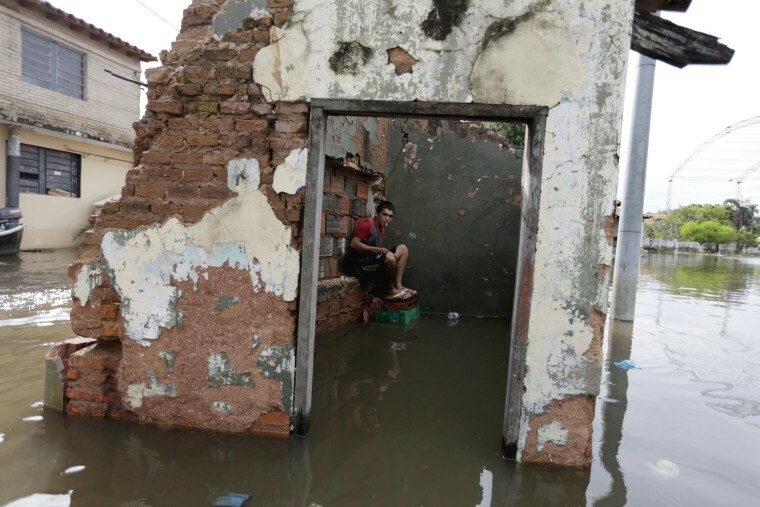 A man sits near houses partially submerged in flood waters in Asuncion, Paraguay. More than 100,000 people have had to evacuate from their homes in the bordering areas of Paraguay, Uruguay, Brazil and Argentina due to severe flooding in the wake of heavy summer rains brought on by El Nino, authorities said on Saturday. 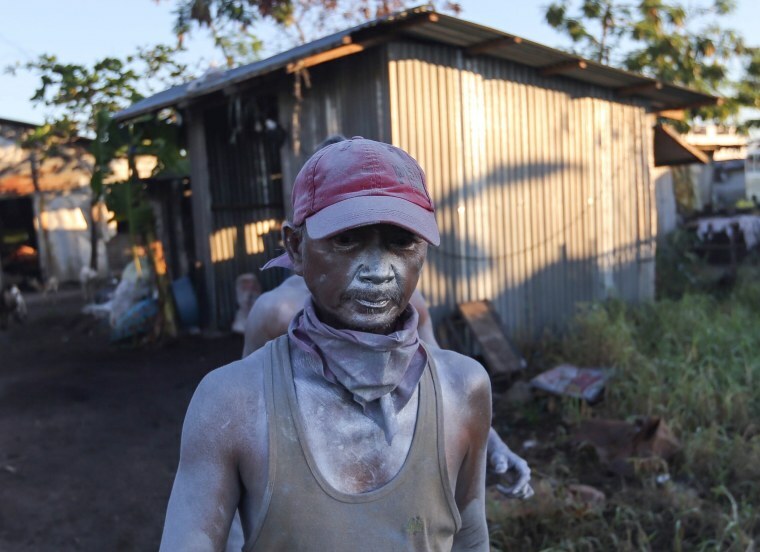 A Filipino worker, covered by gun powder, returns to a backyard factory after transporting firecrackers in Bocaue, Bulacan, philippines. The Department of Health has reported more than 50 injuries related to the use of firecrackers from 21 to 26 in December, with numbers expected to grow as New Year celebrations near. 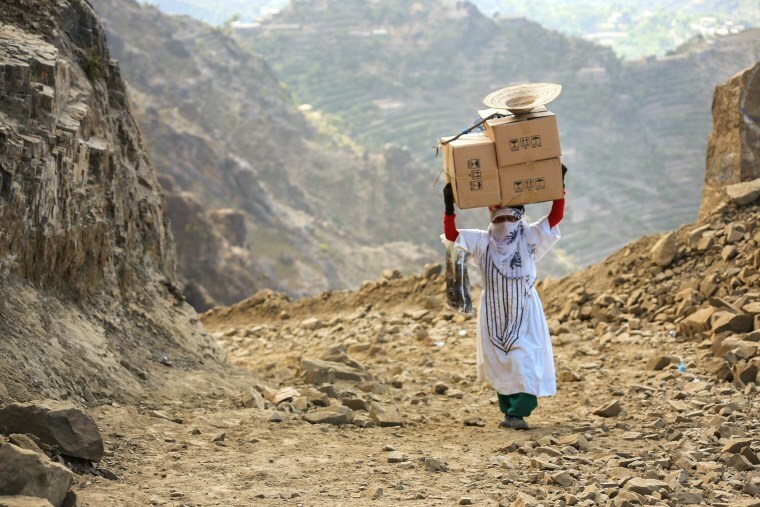 A Yemeni woman carries boxes of food on her head as she walks through the mountains along the only path accessible between the southern cities of Aden and Taez on Dec. 26, 2015, since the main roads leading to the embattled city of Taez are blocked due to the ongoing fighting between forces loyal to President Abedrabbo Mansour Hadi and Shiite Houthi rebels. 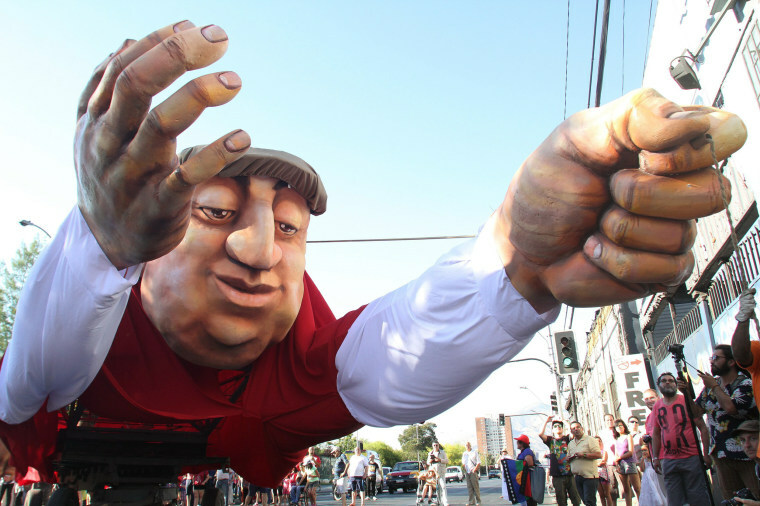 A giant effigy of Chilean poet Pablo Neruda flies above people during a parade as part of the street carnival 'Neruda coming flying' in Santiago de Chile, Chile on Dec. 26, 2015. 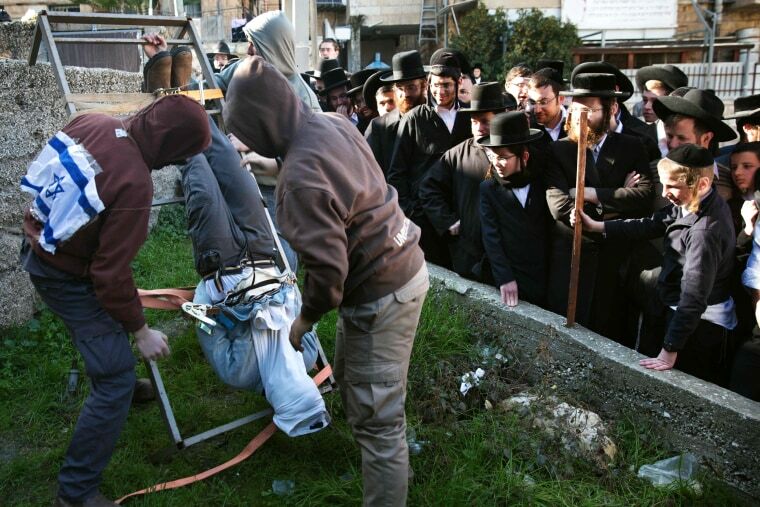 A blindfolded and handcuffed man is tied upside down to the frame of a bed as a group of Israeli right-wing activists stage a protest in a religious neighborhood in Jerusalem. It aims to depict what they say are the methods used by the Israeli intelligence services to interrogate suspected Jewish extremists over the July 31 firebombing on the home of a Palestinian family in the West Bank village of Duma. 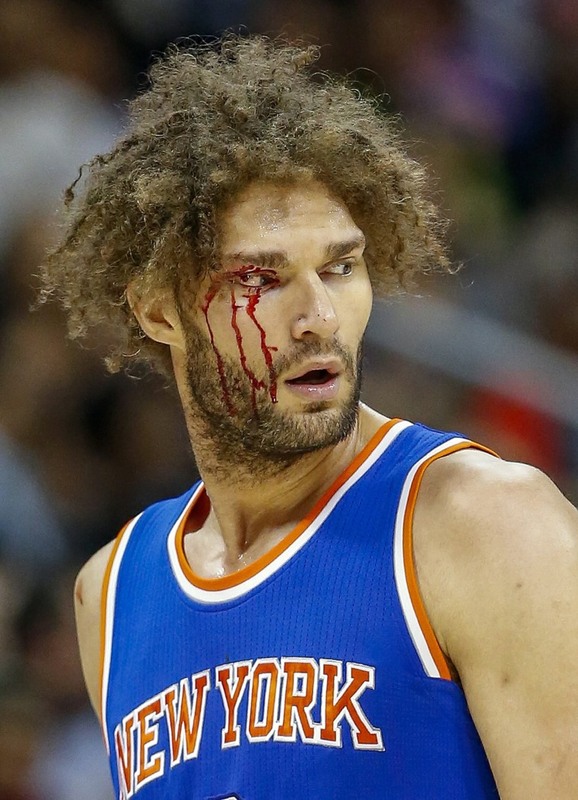 New York Knicks center Robin Lopez has blood running down his face from a cut at his right eye against the Atlanta Hawks during the second half of their NBA basketball game at Philips Arena in Atlanta, Ga. on Dec. 26. The Hawks won.